Sydney researchers find artificial sweeteners can tell brain to increase food intake. Editor’s note 21/7/2016: An earlier version of this story included an image of Natvia natural sweetener. Mamamia acknowledges that Natvia is a natural sweetener and not artificial, does not contain sucralose and that this picture was not appropriate for the story. 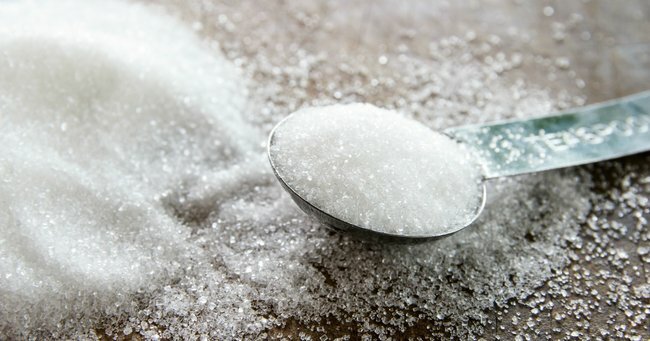 Australian researchers have uncovered new evidence explaining why using artificial sweeteners might lead people to put on weight. Research at the University of Sydney has examined how sweeteners impact the brain’s response to food intake. Previous studies have already shown an association between people who use artificial sweeteners and eating more. But the reasons why remained unclear until now. In the study, researchers at the University of Sydney’s Charles Perkins Centre looked at two sets of fruit flies over five days. One group was given healthy food and another was given healthy food with added artificial sweetener. Afterwards, the fruit flies given the sweetener consumed almost one third more calories and one third more food. Lead researcher Greg Neely said the research, published in the journal Cell Metabolism, showed the brain sensed both sweetness and energy intake and regulated appetite in response. In other words, if people eat sweeteners but do not actually get the equivalent amount of calories, they eat more food to make up for it. “Our conclusions from this study were that the sweetness and energy content of food are integrated in reward centres in the animals’ brain,” Associate Professor Neely said. Artificial sweeteners are used around the world to control weight even though little is known about how they impact weight loss. While the study looked at sucralose, commonly known as Splenda, researchers said their findings were likely to apply to most artificial sweeteners. The study was also replicated in mice in conjunction with Sydney’s Garvan Institute of Medical Research. Associate Professor Neely said essentially chronic consumption of artificial sweeteners fostered the sweet tooth of the animals. “One message is just that having extra sweetness in your diet especially in extreme situations isn’t totally inert and moderation might be in order,” he said. The study also found the sweetener promoted hyperactivity, insomnia and reduced sleep quality, which replicated a fasting state. Professor Neely said while the animal results do not necessarily translate to humans, there was some good news for sweetener fans. They also found sucralose had no toxic effects on the fruit flies. The makers of Splenda said there had been many random, placebo-controlled studies showing sweeteners could be used as an effective weight management tool. It has also been used in diabetes management.